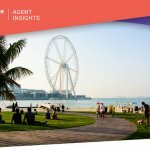 Life insurance is compulsory when you take a mortgage in the UAE. Whether or not you are aware of it, you will pay for life insurance in one way or another when you acquire a home loan in the UAE. The life insurance policy will pay out your home loan in case of your untimely death so that your family can enjoy the property without having to worry about mortgage payments. For most banks it is charged monthly, separate to the loan. Some banks increase their interest rate to cover the monthly insurance premium and some banks will make you pay the policy in advance. In the case of married couples, if the property and mortgage is only in the name of the working partner; it is not compulsory for the non-working spouse to obtain life insurance but most advisors recommended at least partial coverage. If the spouse is on the title some banks insist on all applicants of the loan being covered regardless of who is the income earner. Most life insurance advisors also recommend Critical Illness Cover (CIC) which will cover your mortgage payments for a period of time in case you are diagnosed with a serious illness and are unable to work. Critical Illness Cover (CIC) is not mandatory in the UAE and can be expensive if you are beyond your twenties so most advisors recommend enough CIC insurance to cover the loan repayments for a few years to enable you to stay in the property while you recover or give you time to sell the property. Life insurance premium payments are an ongoing cost of mortgaged home ownership that needs to be factored within your budget. Life insurance costs are minimal for an average loan for non-smokers under the age of 40. However costs can increase exponentially with your age, your health and the amount insured. Any pre-existing medical conditions legally must be disclosed to your life insurance advisor. If you fail to disclose them, this could be grounds to reject your claim. Meaning your family may not receive the insurance payout when they need it most. On a AED1M mortgage life insurance can cost just AED108 per month. Your age, occupation and medical history can all affect the cost of your life insurance. But so can your country of origin. In general those from western countries enjoy lower life insurance premiums. Even if you hold a western passport, if you have not lived in that country for more than 10 years, some insurance underwriters may consider where you have lived for most of your life as your country of origin. Insurance premiums can increase significantly depending whether or not you are a smoker. You are considered a smoker if you have consumed any form of nicotine in the last 12 months. This includes cigarettes, cigars, Shisha, electronic cigarettes, nicotine gum, and patches. Life insurance policies are considerably more expensive for smokers. Typically banks have their own in-house life insurance policy underwritten by major international life insurance companies. But in most cases, getting an external life insurance policy can be considerably cheaper; especially if you are young and healthy. Some banks will allow you to source your own external insurance. Some won’t. Some will allow you to assign an existing life insurance policy to the bank as long as the total amount insured is enough to payout your mortgage in full. External policies have the added benefit of being portable; meaning you can transfer them to another property or to another bank. Should you become ill in the future you may not be able to secure life insurance at a reasonable cost or at all which could prevent you from obtaining a mortgage in the UAE. An external policy secured today while you are healthy could be hugely valuable in the future. Some UAE banks will insist on you paying for a 25 year life insurance policy and add the cost of this to your loan. While this saves you the monthly insurance premiums, it can literally add tens & even hundreds of thousands of dirhams to your mortgage; instantly reducing your equity. 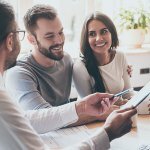 Proponents of this type of pre-paid insurance policy will point out that you are effectively fixing your insurance premiums at today’s rate but you need to consider the fact that you will pay interest on this extra amount for the life of the loan which makes it considerably more expensive. Also should your loan not run its full term (if you wish to sell or wish to refinance your property with a different bank) you will only receive a partial refund of your pre-paid policy. 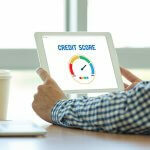 Should your loan only last a few years this can be VERY expensive. With some life insurance policies the amount insured reduces over time as your mortgage decreases. These are know as a “Decreasing Term” policy. 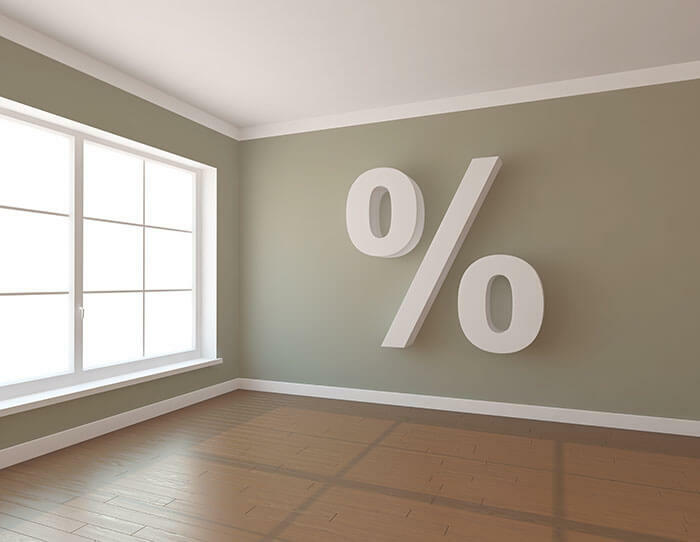 While the payable premium remains the same, the amount insured actually decreases as the mortgage decreases. With “Level Term” policies, the sum insured remains the same of the life of policy and does not decrease as the loan decreases. 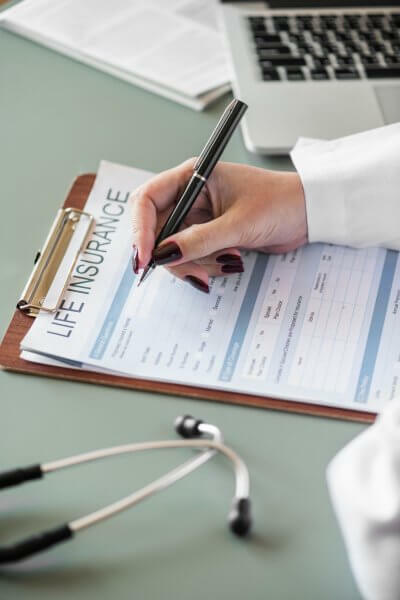 In general Decreasing Term life insurance policies are specifically designed for mortgage protection and are considerably cheaper than Level Term policies. If you are seeking family protection you should consider a level term policy which should be be done separately to your life insurance policy associated with your mortgage. Please note that this information is intended for general use only. Life insurance coverage must be legally administered by a licensed life insurance advisor after a thorough investigation of your individual needs and circumstances.